No matter what your goals are for 2008, if you want to get fit this summer, Health and Fitness for Cyclists magazine is the place to find essential tips, hints and expert advice. If you’ve already been following the plans in our spring magazine then you’ll be reaching the end of your preparation plan and will be ready to move up a gear to find your peak summer fitness. Our three plans are aimed at riders new to cycling, the experienced and committed rider and the seven-hour plan for those of you with limited time to train. If you haven’t done as much riding this spring as you feel you ought then join our four-week quick start plan to get you on the right track. As well as training plans, Health and Fitness for Cyclists is packed full of ideas to help you get the most from your riding. 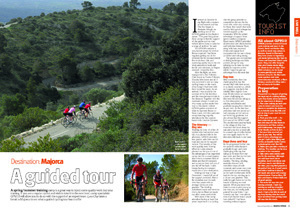 We offer practical advice on planning your training routes and packing your bike up for a travel. There is a large nutrition section taking you through what to eat before during and after events as well as some great new recipes and an in depth look at foods that can help you recover faster and even slow down aging. If you want to make you training as effective as possible then you’ll enjoy our guide to buying a power meter. Power meters are the greatest revolution in training since heart rate monitors were developed in the late 1980’s. We speak to author of Training with Power, Hunter Allen, to find out if they are a worthwhile investment and how to use them. Whatever your cycling goals you’ll find plenty of useful advice and practical features to help you reach them. 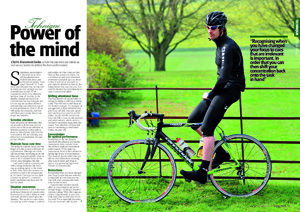 Health & Fitness for Cyclists, Summer 2008 issue, is out now in WHSmith priced £5.95.